The Northern State Medical University (NSMU) is the only institution offering higher education in medicine in the European North of Russia: the NSMU is the northernmost Medical University in Russia. The university got agreements with 6 governors of North-Western Russia. Not only for Arkhangelsk Region, but also for other areas of North-Western Russia (Vologda, Murmansk and Nenets regions; Komi and Karelia republics) the NSMU is a remarkable university center, which has nowadays approximately 5500 students – with PG students altogether 8000. The staff consists of 980 researches, teachers, academicians and professors. There are 18 faculties at the Northern State Medical University. 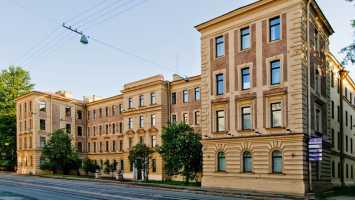 The history of the Northern State Medical University starts more than 75 years ago: the Arkhangelsk Medical Institute was founded in 1932. In 1994 the name was altered to Medical Academy, until in year 2000 it was reorganized as university. The Northern State Medical University has experience already for many years in cooperation with foreign partners. The university has partnership agreements, and regularly takes part in international conferences. The other international and multicultural element in the everyday life of the university is you, growing amount of international students. One of the most significant cities of Northern Russia hosts every year hundreds of students, coming from different parts of the world. In year 2000 in the Northern State Medical University was opened faculty for foreign students, but already in 1991/1992 the university received its first foreign students from India, Pakistan and Syria. Students represent different countries all over the world: India, Pakistan, Ukraine, Belarus, Armenia, Georgia, Azerbaidzhan, Turkey, Palestine, Syria, Jordan, Angola, Cameroon, Zambia, Nigeria and Peru. This guide is created to help you in orientating to the studies at the Northern State Medical University and living in Arkhangelsk. Firstly, there is information about the university, and secondly, there are some practical and general information about the city of Arkhangelsk. In this compact booklet you’ll find important information about studies as well as about events and places in Arkhangelsk. The whole staff of the university is working for you to make your staying as easy and nice as possible. Especially the International Faculty, International Office and the Department of Russian Language are the place where to ask questions and where to turn if something bothers. Feedback from students themselves is important for us so that we could develop our work further. If you have comments, in good as well in bad, please, let us know. We hope you’ll enjoy being part of our university! General Medicine:Faculty of General Medicine. 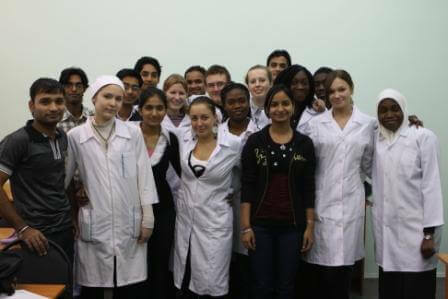 One of the oldest and biggest faculty offers to its students possibility to qualify as doctors. They specialize in surgery, therapy, gynecology, neuropathology, psychology. Practical courses are held in many policlinics around the city. The aim of the education is to offer the knowledge in profilactive and development of health care of the population, diagnosis of the diseases, collecting and analyzing the information of the health, planning and organizing health care system, scientific researching. Future doctor’s work places are found in health care organizations, both state and private, researching institutes. Faculty of Dentistry: Founded in 1958. The period of studies is 5 years. The faculty prepares dentists of general character. During the first 3 years the students study medical physics, general and biological chemistry, biology, human anatomy, normal and pathological physiology, etc. In the 2nd year students begin to study clinical disciplines – general therapy, surgery, then neurology, othorynolaryngology, surgery and diseases of inner organs. Thus, dental students get a profound general clinical training. In the 2nd year of the studies the training is carried out according to the professional lines at therapeutic, surgical, orthopedic and children’s dental departments. Different diseases and methods for treatment of teeth and mucous membrane of the mouth cavity are studied at the Therapeutic Dental Department. The operations on maxilla-facial organs and on dental extraction are studied at the Surgical Dental Department. Students of dentistry master their skills in laboratory technologies on making diverse prostheses and in clinical methods for making prostheses with dentition defects (dental arch), and also congenital and received deformations of jaws. The Department of Children’s Dentistry trains students in these three fields taking into account the peculiarities of the children’s organism. Practical studies are held in the dental policlinics around the city, which offer different equipment. 2nd to 6th year fees 4500 US Dollars/Yr 350 US Dollars/Yr 4850 US Dollars/Yr 3,38,000 Rupees/yr. Membership of the Student Union in the NSMU is voluntary, but the membership is very popular: approximately 96% of the students are members of the student union. Russian students, who get financial support from the state and don’t pay for their studies (because of their Russian citizenship), pay regularly a member fee. If foreign student is interested of the membership, should pay every year x rubles to the Student Union. Then she/he will get the same benefits as Russian students. Student Union offers help and activities in different fields. One branch of the Student Union is Sport club, whose services members of the Student Union can use. Members get tickets to movies on a lower price. Further, every year excursions both in Russia and in foreign countries are organized. These trips cost for student-members about 50% less than normally. And at last, but not least, Student Union offers service, which is very important for the students finishing their studies and planning their future careers. Student Union is specialized in career service: if you wish to get information how to find work, you can ask for help in Student Union. They have practical tips where to start looking for a job, how to form one’s resume correctly or how to prepare oneself for interview. Generally, Student Union is working for the students. It supervises student’s socio-economical rights and benefits, and makes it’s emphasize on students’ living conditions, employment market and salary. Student Club focuses on students’ social life outside academic sphere. 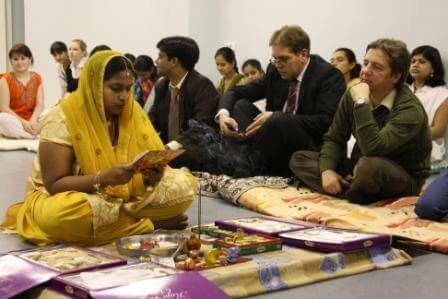 Student-members organize free time activities, like parties and different kind of occasions, e.g. “Knighting of students”, “Spring of Dance”, song contests and spectacles. There is dance group as well as students’ amateur theatre. 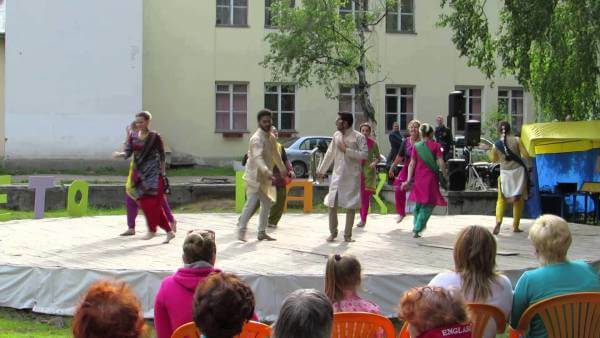 The theatre staff often goes on to different cities in Russia. You will be offered an accommodation in one of the student hostel of the Northern State Medical university. Rooms are furnished (table, chairs, beds, shelf, wardrobe) and are for 2-3 persons. Two rooms have common shower and toilet. Rooms are shared with other students of same gender, but in the same block there can be students of opposite gender as neighbors. In the student dormitory no. 1 there are common kitchens and laundries, and there are arranged common room in the first and third dormitories. Kitchen ware you should get yourself, and if you have your own computer, also Internet connection you will pay yourself. The distance from the student dormitory no. 1 (in address Vologodskaya, 7) is about fifteen minutes walk (about 1,5 km) from the university. Student dormitories number 2 (Ulitsa Timme, 27) and 3 (Ulitsa Samoila, 9) are located a bit further, about 3–3,5 kilometers from the city center and the university. MBBS Admission in Northern State Medical University, MBBS Fees Structure, About University, Faculties, About City and Student life in Northern State Medical University Russia. Location and Transportation: The distance from Moscow to Arkhangelsk is 1258 km and from Saint Petersburg 1147 km. By plane it takes less than two hours to get to “the capital of Northern Russia”. Central bureau for air service is in address Voskresenskaya 116. Aeroflot-Nord is flying from and to Arkhangelsk, its ticket office is in address Pomorskaya 7. International airport is located to near to Arkhangelsk city, in Talagi, in twenty minutes driving from the city. You can get there by bus number 12. In Moscow the domestic airport is Domodedovo, in St. Petersburg Pulkova. To get in Arkhangelsk by train, it takes about 21 hours from Moscow and 24 hours from Saint Petersburg. From Moscow the trains leave from the Yaroslavskij station, and from St. Petersburg from Ladozhskij station. Railway station (address: 60-let Oktyabrya) square and Central bus station 23 (Gvardeysky division, 13) are near to each other and are located on the other end of Voskresenskaya Street. It’s easy to find your way in Arkhangelsk, thanks to its clear city plan. Besides, distances are not too long. For example, the length of the Voskresenskaya Street, which is one of the city’s main streets, is about three kilometers of length. Troitsky Street is the other main street. There are both towns and commercial busses, and trolleybuses. Yellow pick-up cars are collective taxis (or more often “gazelle”), which have their certain routes: you hop in, pay your trip and ask chauffer to drop you the certain stop place on the way. Municipal busses are a bit cheaper ones than private transport alternatives. There are not anymore trams, which used to be the most northern ones in the world. But anyway, the abovementioned transport variants are going quite often, most of them in 5–15 minutes, so you won’t need to wait for your bus long time. Because of the northern location, winter time lasts long, is snowy and cold. Summer time is mild and sunny. The White Sea about 40 kilometers from Arkhangelsk makes the climate windy and humid and it rains often. The weather can change relatively quickly. Get prepared for winter time carefully. This means warm underwear, woolen clothes and good outer clothing, like warm jacket, boots and headgear. Because of the near location to the White Sea, it is often windy. On average, the temperature in Arkhangelsk in January is -13 Celsius degrees and in July +17 Celsius degrees. But note, that these figures informs just the average temperatures; in winter time (December – March) there can be as cold as -30 Celsius degrees. And in the summer time (June – August) as warm as +25 Celsius degrees. And mean time – everything between or beyond these temperatures! First snow usually rains in October, but usually it won’t last long time at once.Especially during the autumn season it rains a lot. 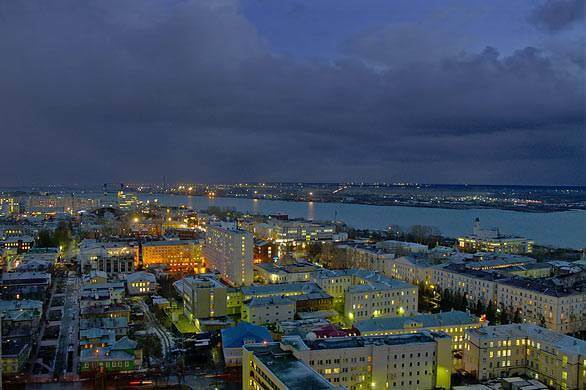 Arkhangelsk is one of the oldest Russian cities. It was founded in 1584 on the bank of the Northern Dvina not far from the place where it flows into the White Sea. The importance of the city has been remarkable: before the foundation of St. Petersburg Arkhangelsk was the only “window” to Europe and the only seaport. The river Northern Dvina has been and still is very important to the city. Surrounding river gives beautiful background to the city, it functions as an important transportation route both of goods and passengers. Around the city and along the river there is vast wetland area. Nowadays Arkhangelsk is on of the largest scientific and cultural centers in the European North. 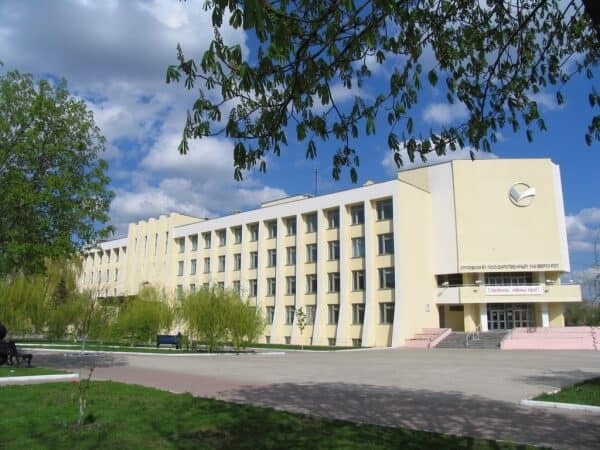 There are three universities: Pomor State University, Technical University, and Medical University, and other institutions of education and research. There is International School of Administration and College of Art and Music.